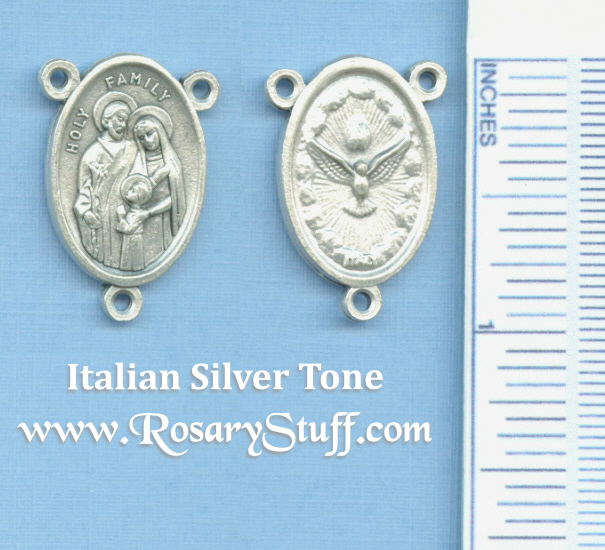 Italian silver plate Holy Spirit and Holy Family rosary center. This wonderful Italian silver plate center features an awesome image of a dove (The Holy Spirit) on the front and the Holy Family on the back. To be honest, this center could be used with either side facing forward. Sized at 7/8 inch tall (not including ring) and 5/8 inch wide.